We have a new litter of four kittens. They were born during the Saturday of the most recent retreat - July 18th. Retreat babies. This is the mother who is named Petunia. This is Mittens who wants to be the mother. 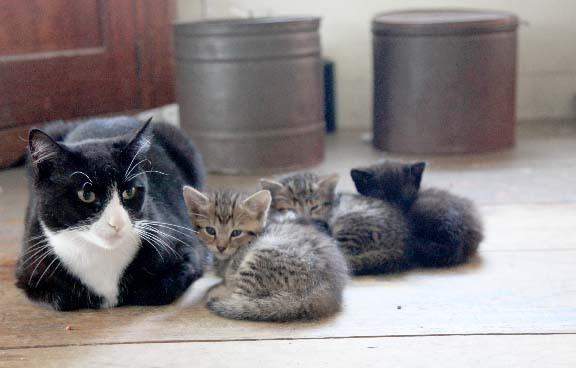 For the past couple weeks, Mittens has been moving in on Petunia and her kittens. For a while, we had to watch her closely as she kept plucking them up on her mouth and moving them to the attic away from their real mom. 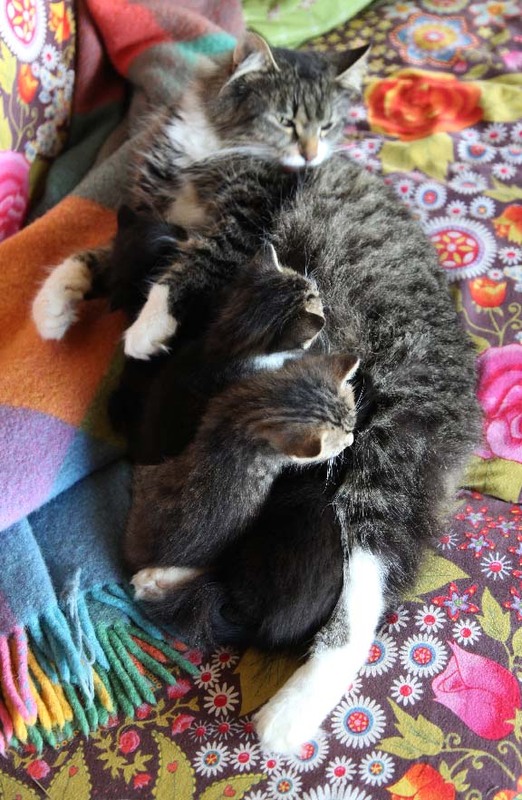 Things have finally settled down now and both Mittens and Petunia are mothering the kittens. Hard to believe but the kittens are nursing both females. It seems that Mittens is producing milk and the litter is happy nursing off of both females. They have it made. This same natural situation happened last summer. At first I was perplexed because I am not much into cat behavior. Now I find it a bit comforting that both the aunt of the kittens and the real mama are both taking care of the litter. It is not unlike how human sisters will step into the role of mama when the real mama is away. Nature is a remarkable thing. What a sweet set up for the kittens, getting nourishment and mothering from two moms! They are adorable with their fuzzy kitten coats. Thx for sharing pics and the story. Ohhhh..kittens! preciousness..and so very fortunate to have you and 2 moms..Bless you..
~ Oh, my goodness, . . . so much purry-sweet-kitty goodness. What a perfectly loVely children's book topic, with your beautiful fabrics & knitting & indeed, your artful house, for them all to be cozy with. 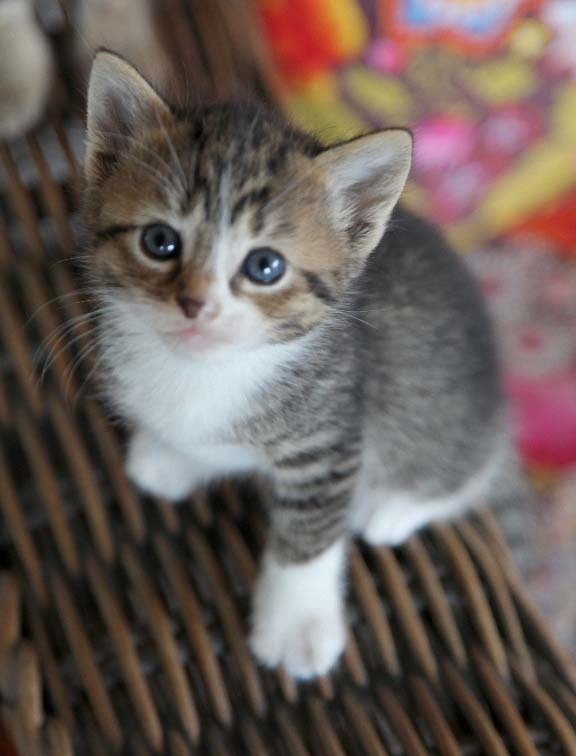 One kitten even has markings like her Aunt Mittens !! Truly, it would be a very dear little book, not just for children, but for all of us, . . . friends of the felines. "This is the mother who is named Petunia. This is Mittens who wants to be the mother." . . . . for Christmas Holidays, ... yes? Oh, I'm excited about this !! loVe & kind meowy regards to the Fur Family Mamas & their little kitties. ..... looking forward to more photos on the blog. Well Kristin, even though I am more of a dog fan, I have to admit that this post is absolutely charming. 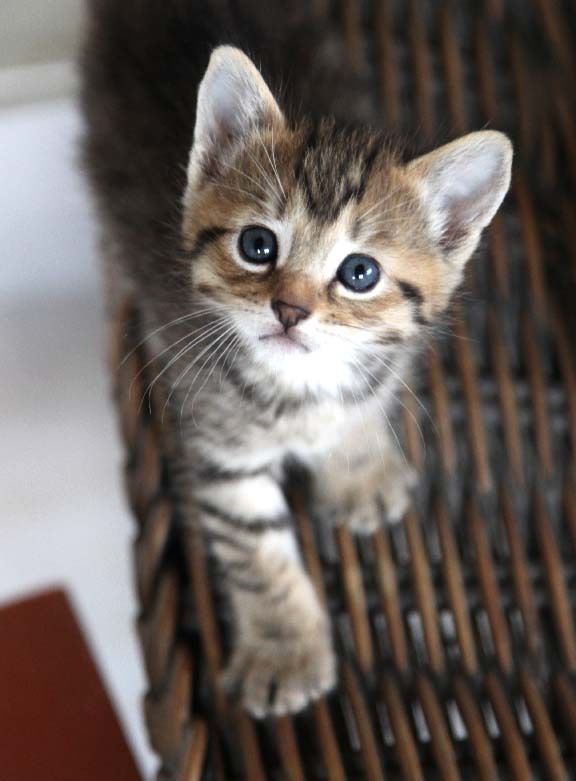 A few more of such pictures and I might start thinking about getting a kitten. That can only happen when and if I actually ever have more space than I do in this little apartment. Hi Kristin, I read this post last week and thought how much I'd love another kitten but with two grown cats now I thought we're good. Now one of our cats hasn't come home for over a day and she isn't one to wander. Are yours all called for? Hi All. 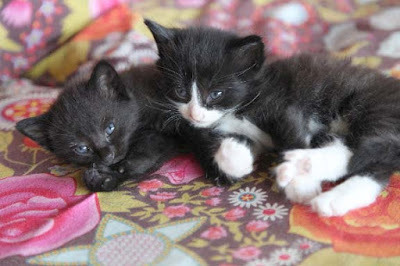 The tuxedo kitty has a home but the other 3 are still available. Email me for details. Thx.